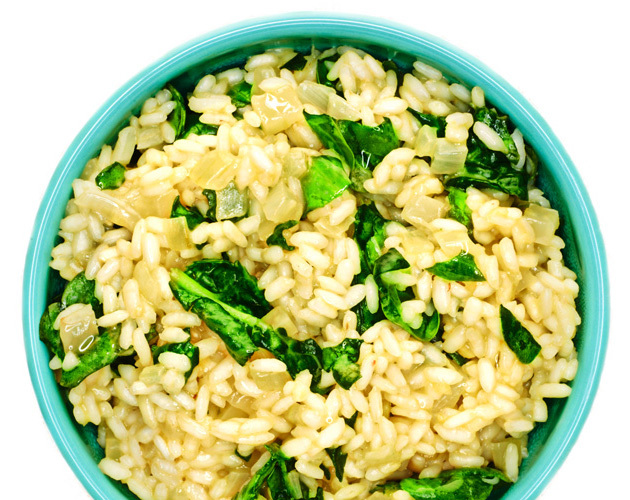 Creamy (yet cream-less) and satisfying, you can’t go wrong with making this Italian delight – all you have to do is stir and you end up with tender rice and nutrient-rich spinach blended with white wine and Parmesan. 1) In a medium saucepan, bring vegetable broth to a simmer over low heat. Keep it warm throughout cook time. 2) In a large saucepan, heat olive oil and butter over medium heat. Add onion and fennel, cooking 5 minutes, until softened. Add the rice, stirring constantly to coat. Add wine and continue stirring as the rice absorbs the liquid. Add 1 cup of vegetable broth, stirring frequently until the liquid is absorbed. Once absorbed, add another cup of broth to the rice. Repeat, making sure each addition of liquid is absorbed before adding the next. Continue for 18-20 minutes, until rice is creamy and tender. Once cooked, remove from hear and stir in spinach and Parmesan. Season with salt and pepper to taste. 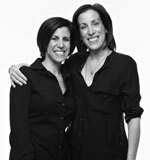 Authors of bestselling cookbooks Bite Me and Bite Me Too, saucy sisters Julie Albert and Lisa Gnat love eating, feeding, entertaining and dishing up easy recipes and forkin’ fun at BiteMeMore.com.